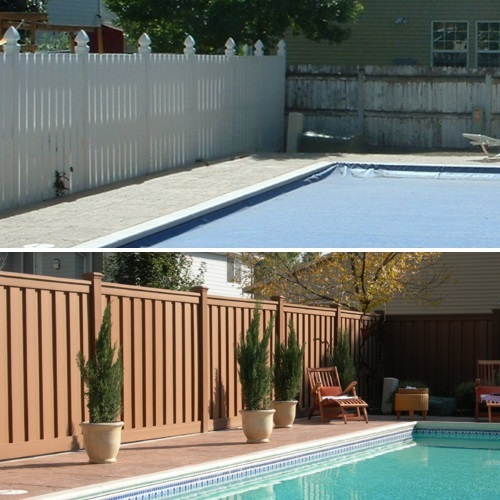 Some customers sent in high quality pictures of their projects recently so we thought we’d highlight them. 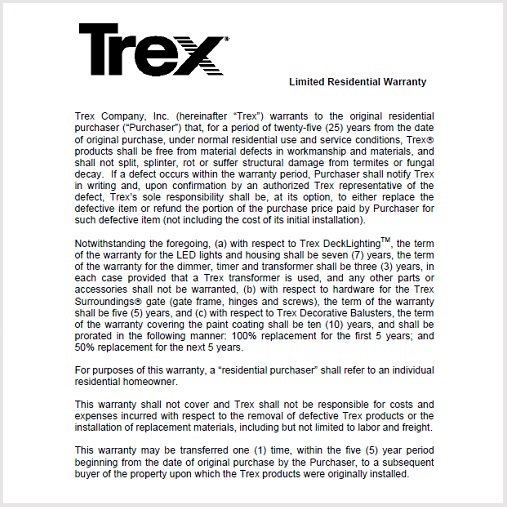 Trex is used for residential, commercial, and government applications throughout the country and is selected for its various benefits. 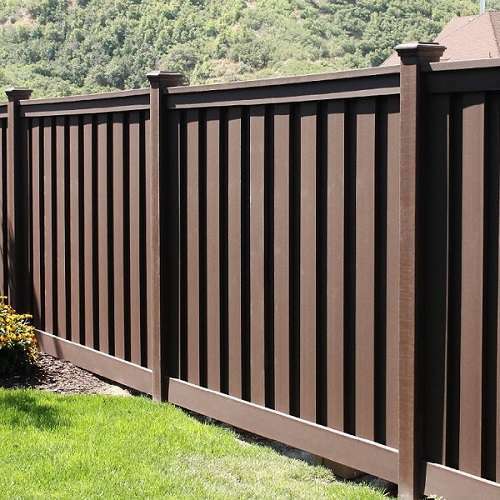 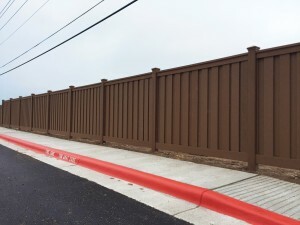 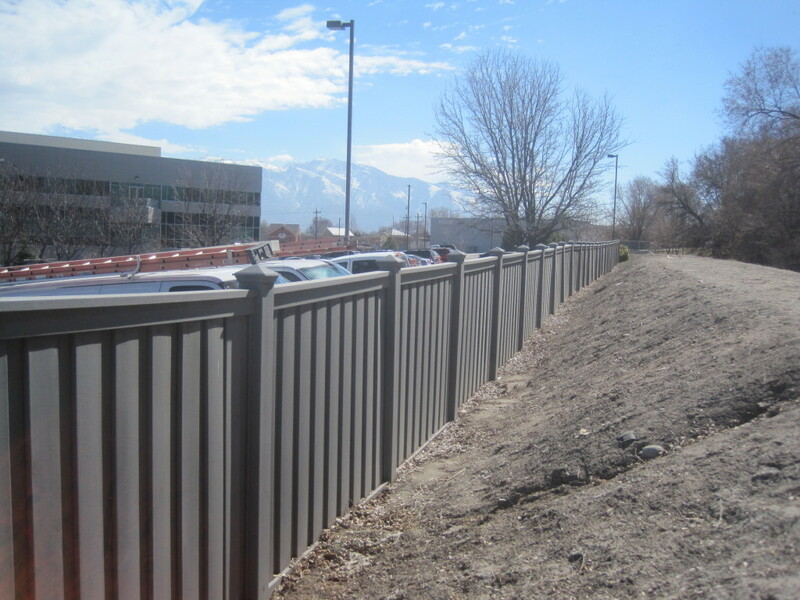 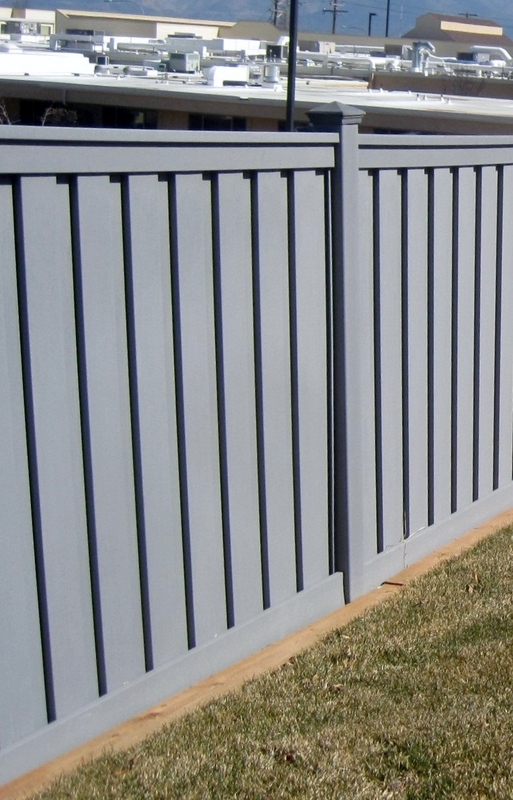 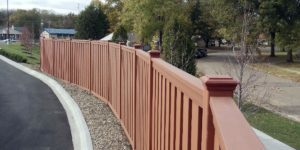 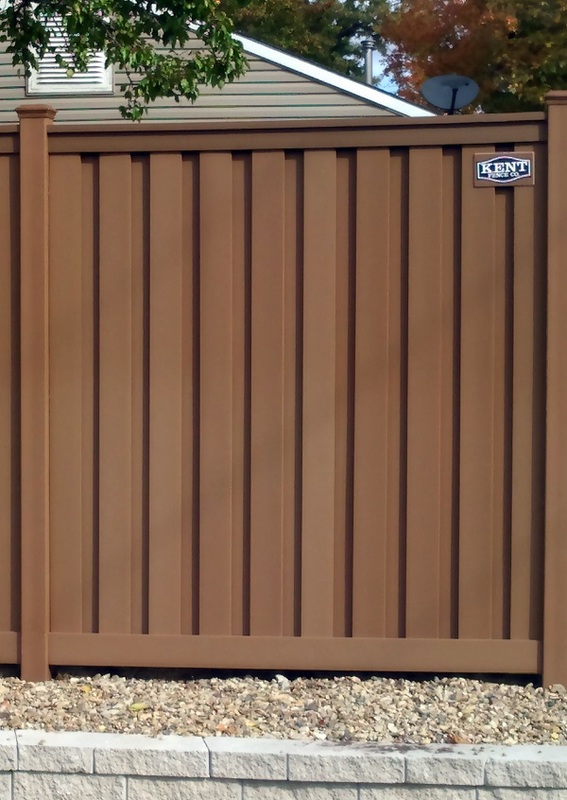 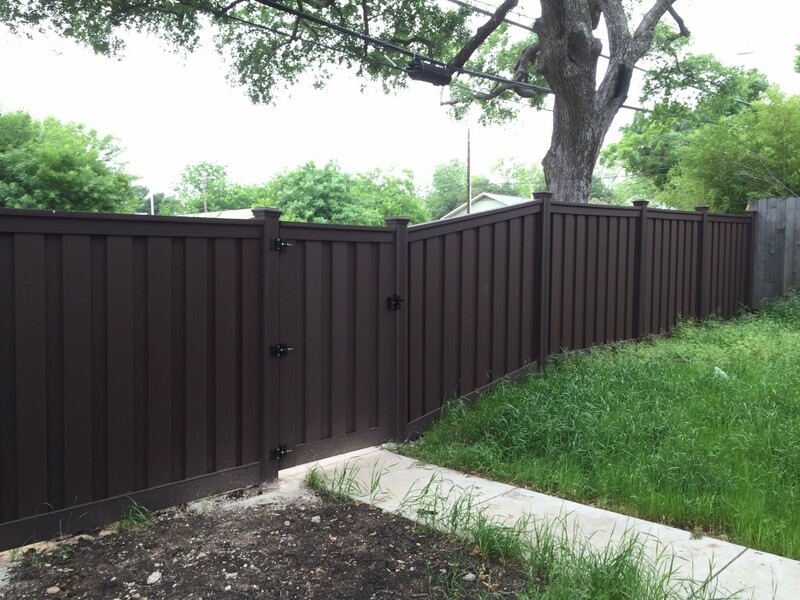 But, besides all the benefits of low-maintenance, “green” building, durability, and warranty, Trex is simply a strikingly unique-looking fence. 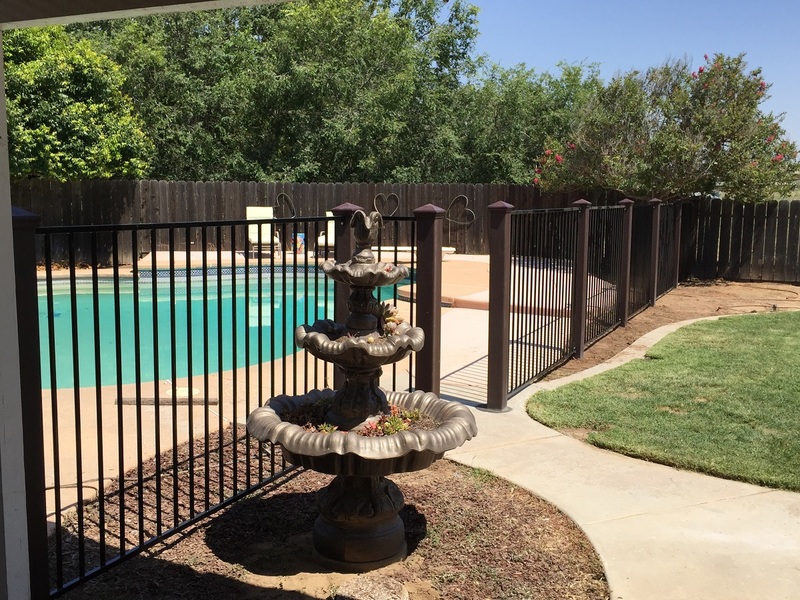 Stone Pillars with Trex Fencing. 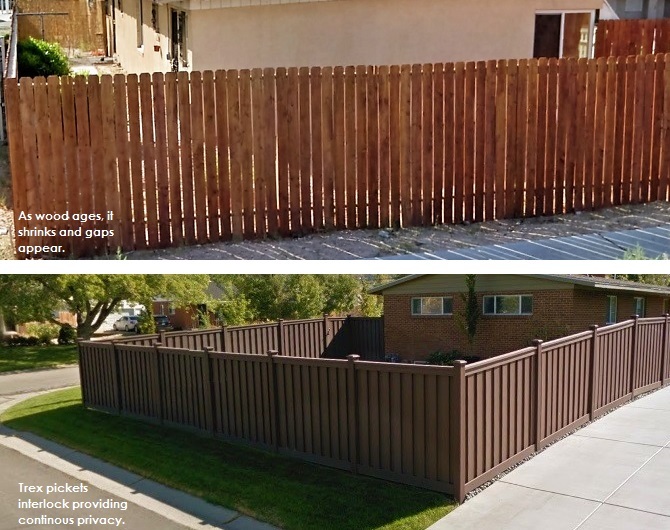 We’ve written about this before. 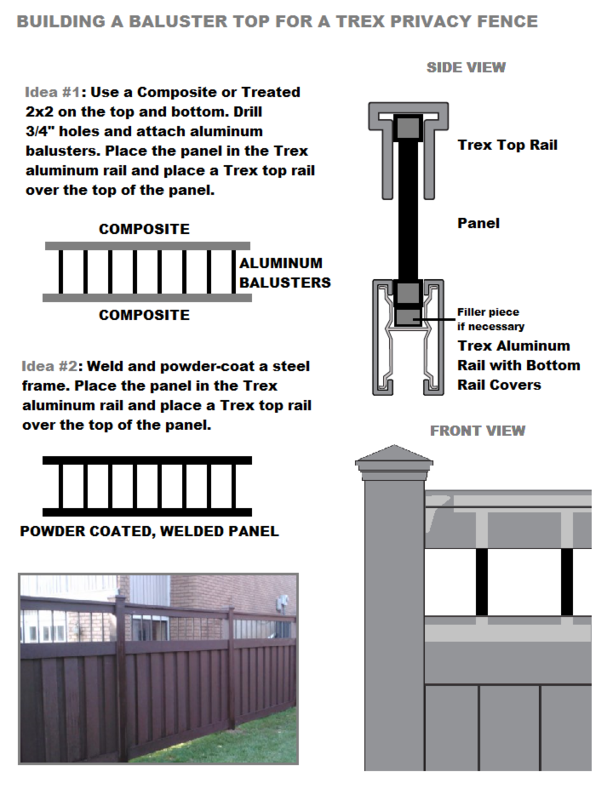 Trex simply looks fantastic when it’s combined with other materials. 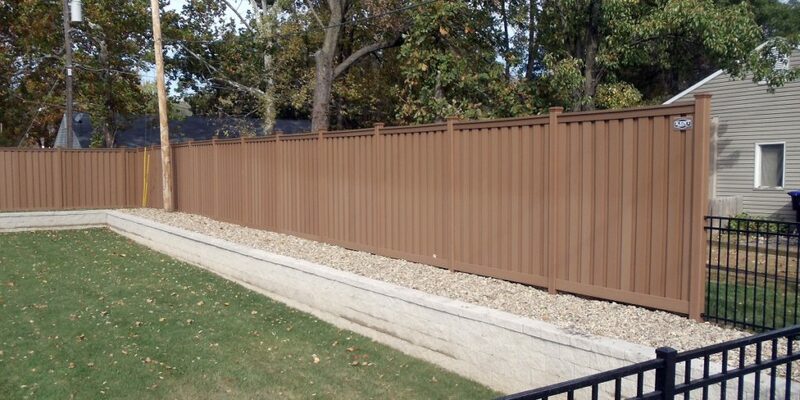 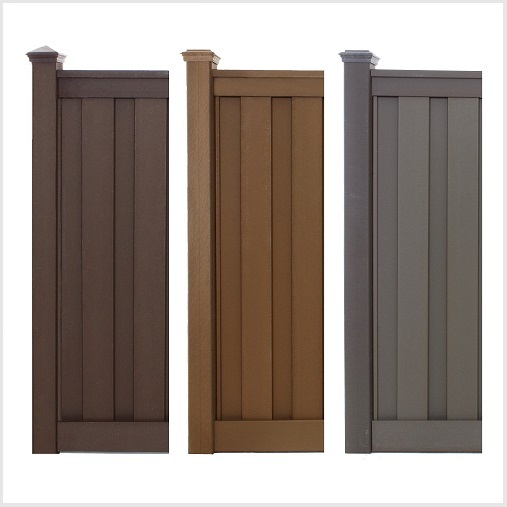 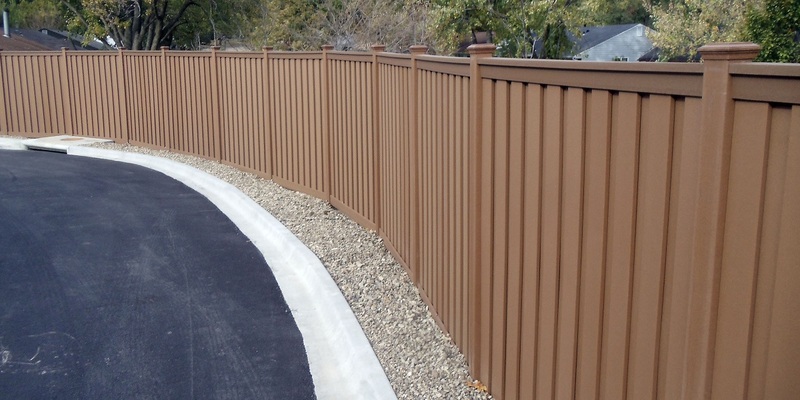 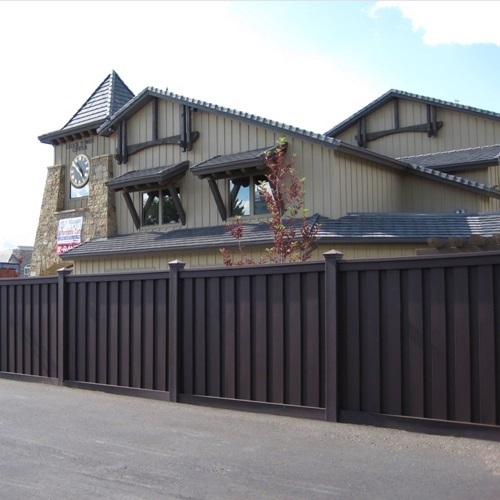 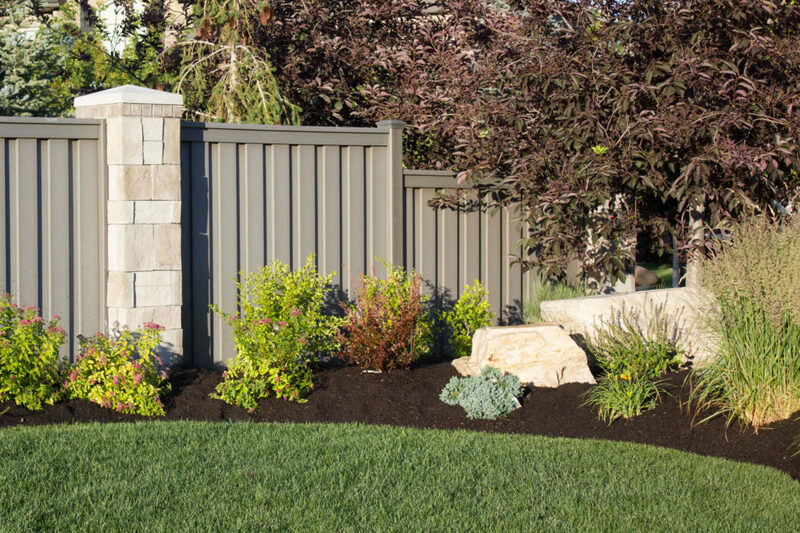 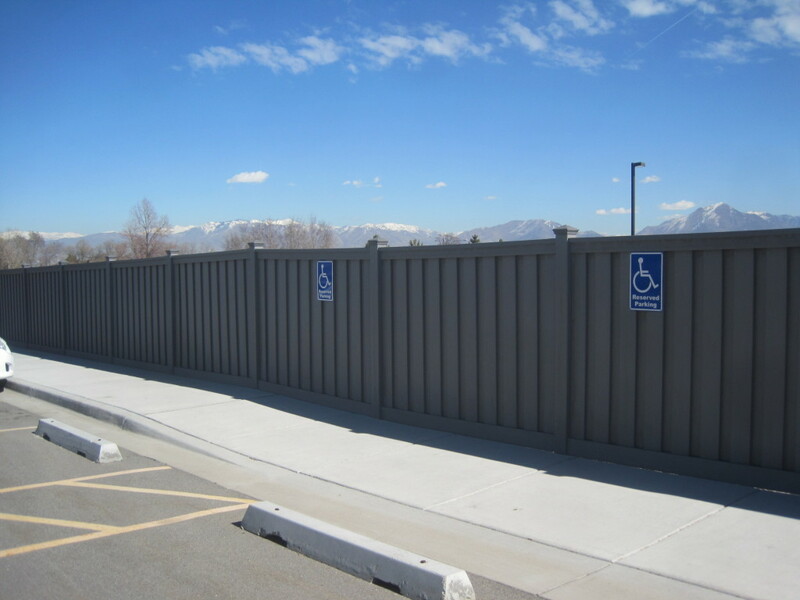 Whether it’s ornamental iron panels with Trex posts, Trex “toppers” set on masonry walls, or Trex pickets and rails between stone or brick columns, there’s no question the striking appearance sets a fence apart. 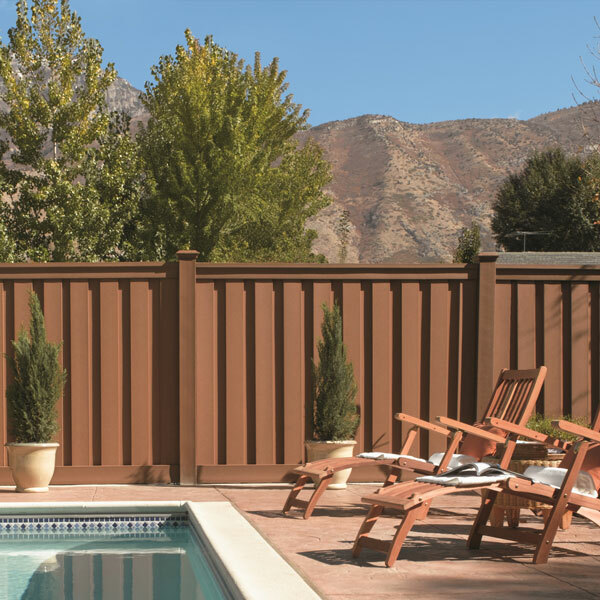 A Beautiful Backdrop. 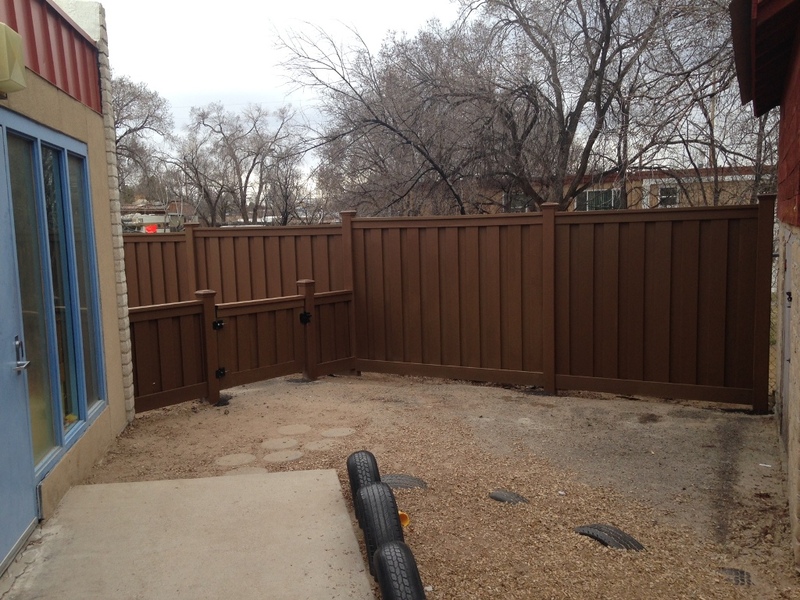 This customer’s patio almost had it all. 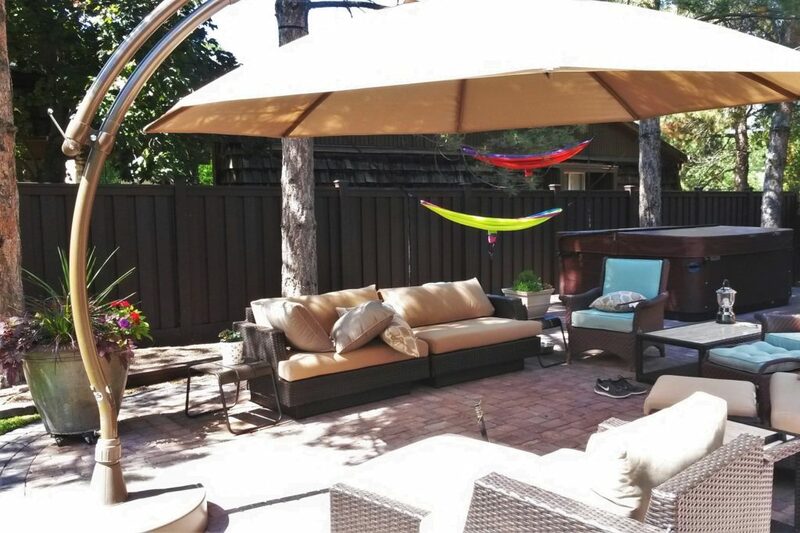 Attractive brick pavers, outdoor furniture, hot tub, and a shade structure … now, all it needed was some privacy and a complimentary color to finish off an outdoor living area that would make a person want to rush home, kick off their shoes, and enjoy a relaxing evening. 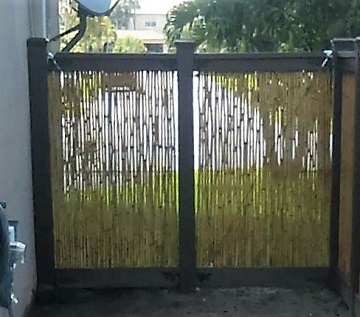 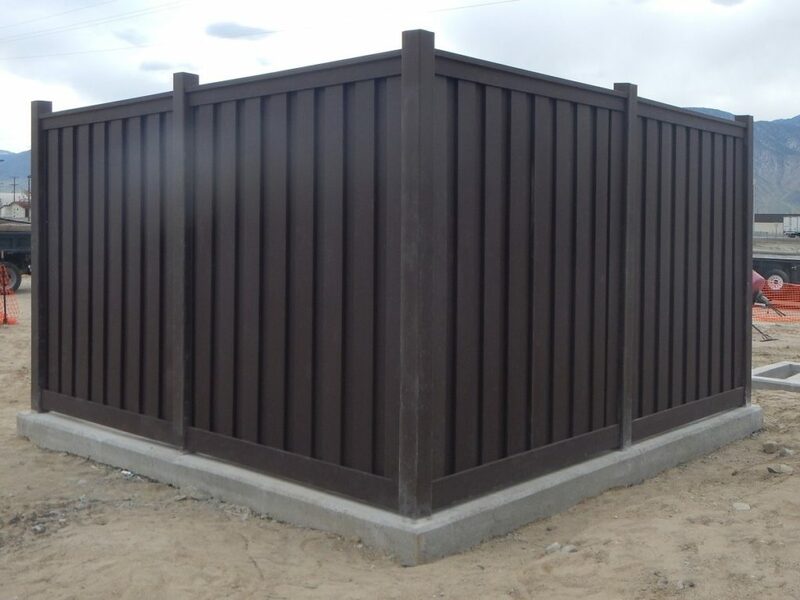 Perimeter Privacy and Protection. 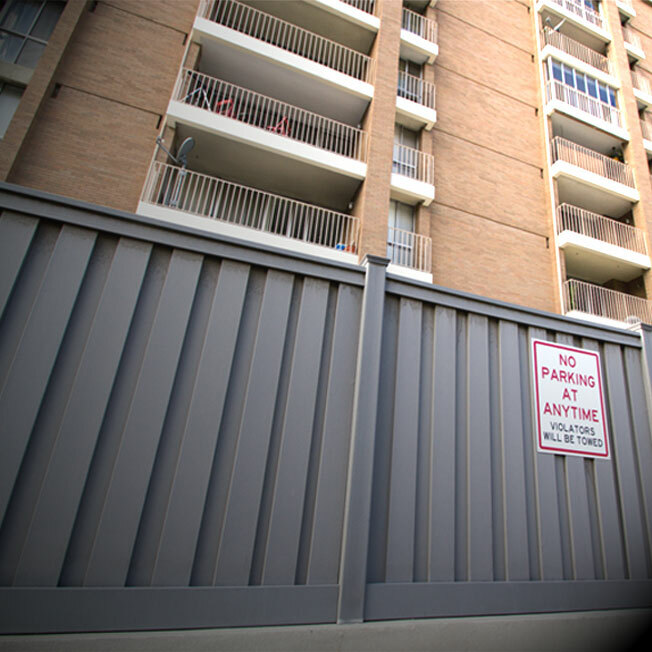 Who said commercial properties need to detract from a community? 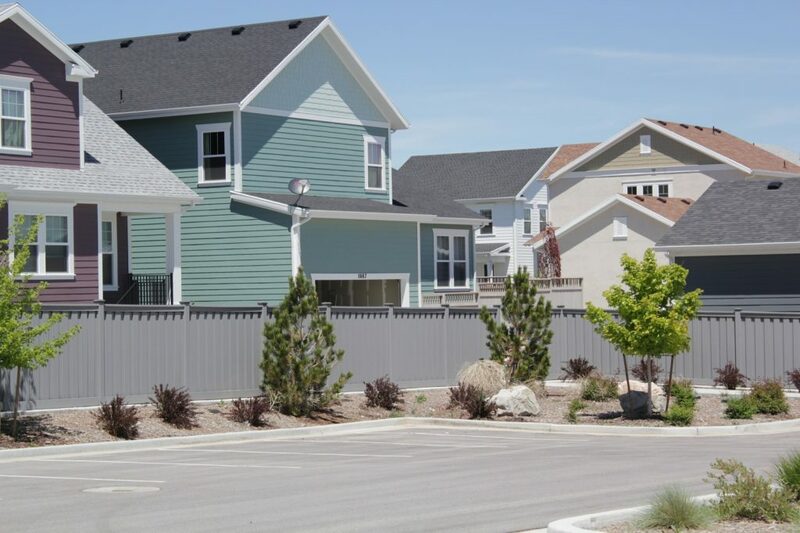 Municipalities, developers, and builders are sensitive about spaces where commercial properties join residential areas. 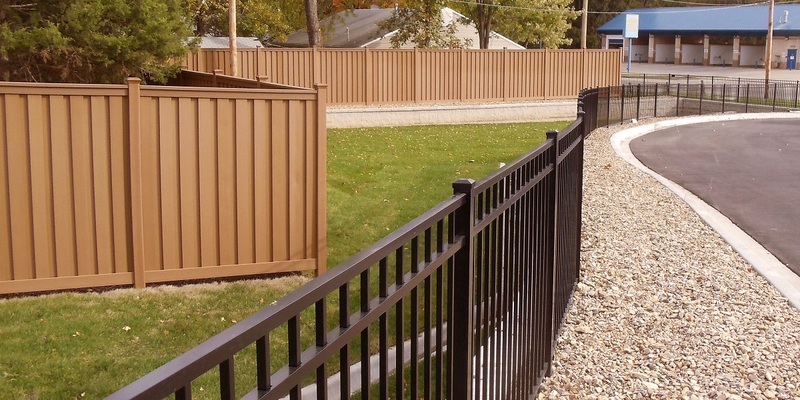 Good landscaping and a Trex fence can transform a parking lot from an eyesore to a space that blends in with a community. 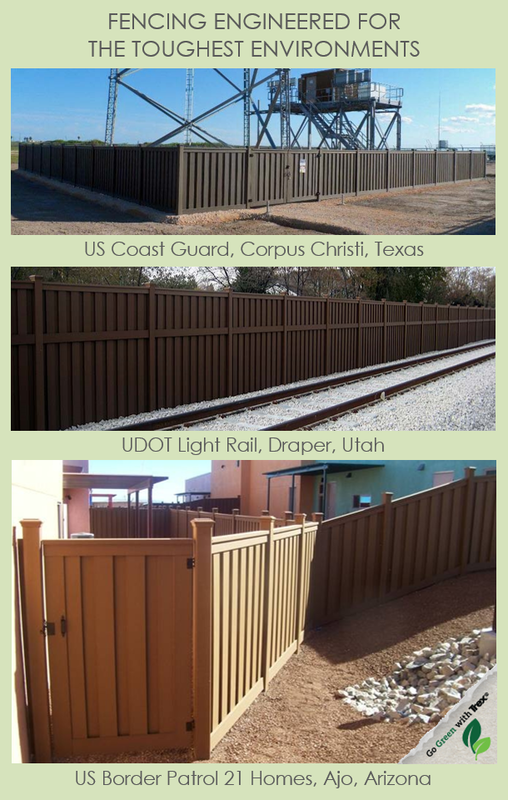 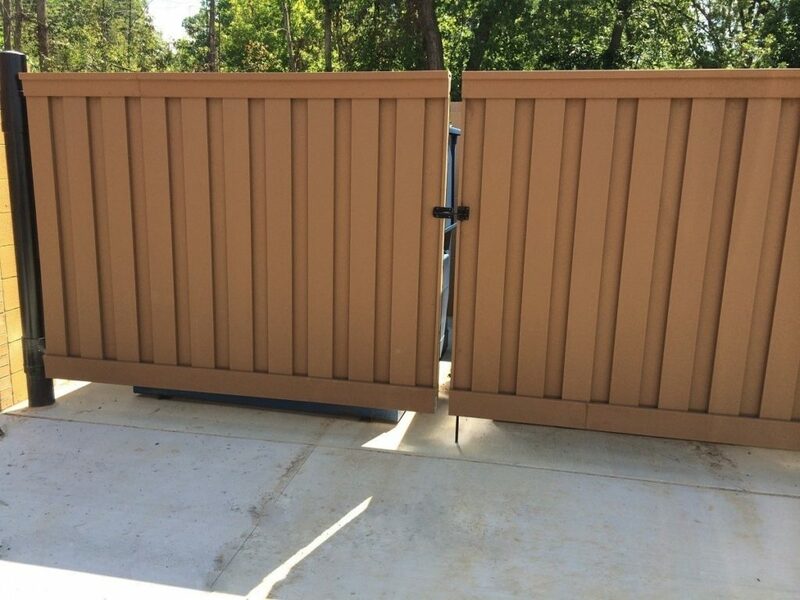 Kent Fence Co. is a family owned and operated business that has been in business since 1977. 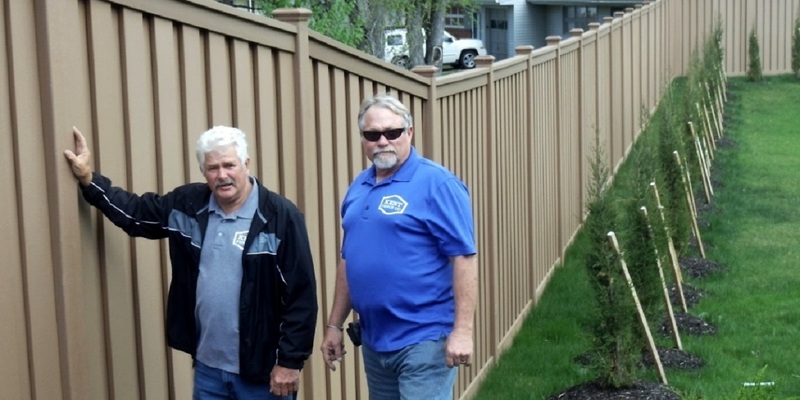 Kent prides itself that there is no job too small or too large. 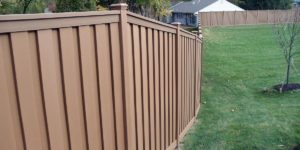 Tom credits the combination of residential fencing and commercial projects which have allowed our company to grow to about 380 jobs a year. 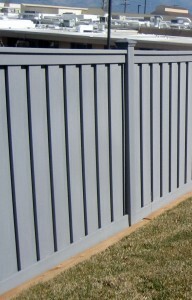 Tom is one of five Kents who have contributed to the company’s history.  Presently, Mark Kent is the Sales and Operations Manager and David Kent is the Senior Working Foreman. 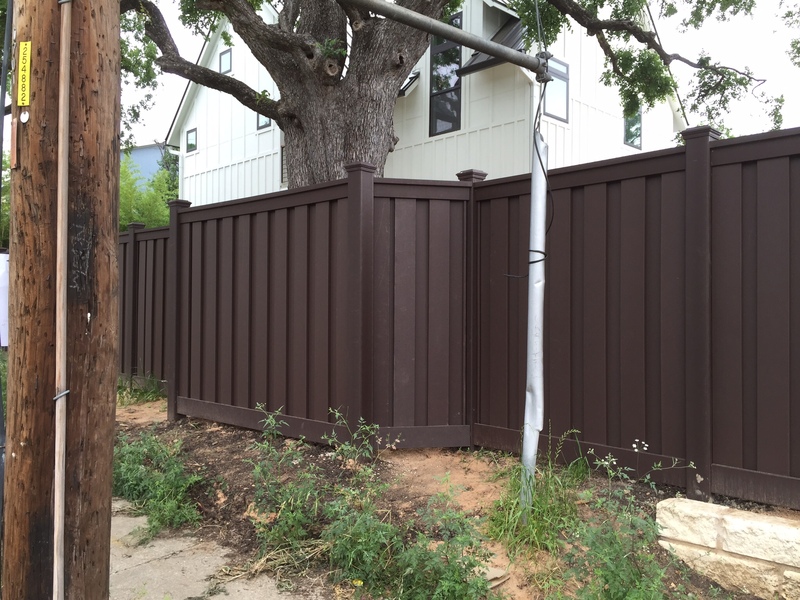 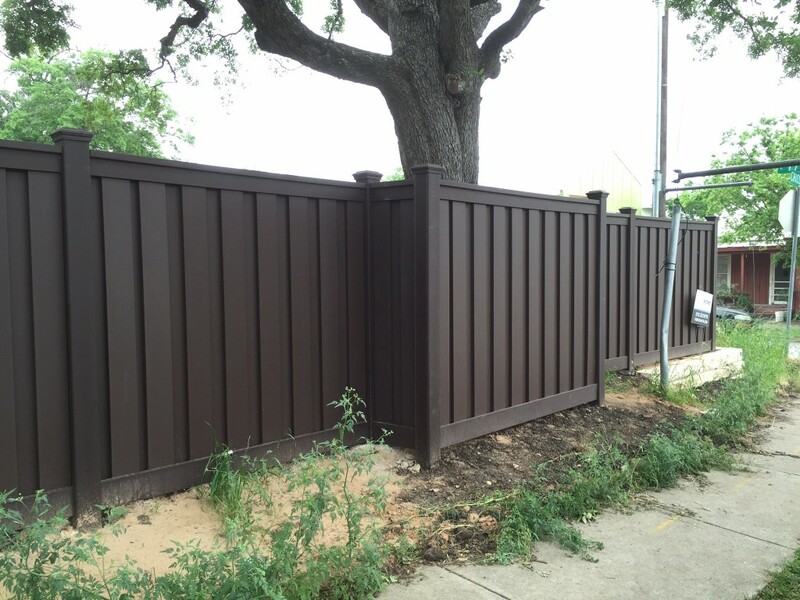 The success of this project bodes well for both Trex Fencing and Kent Fence going forward in Tom’s estimation. 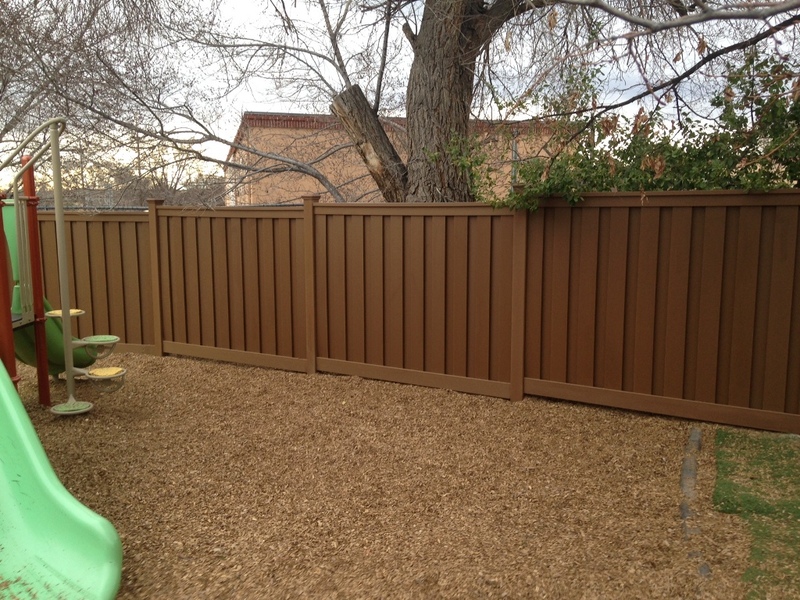 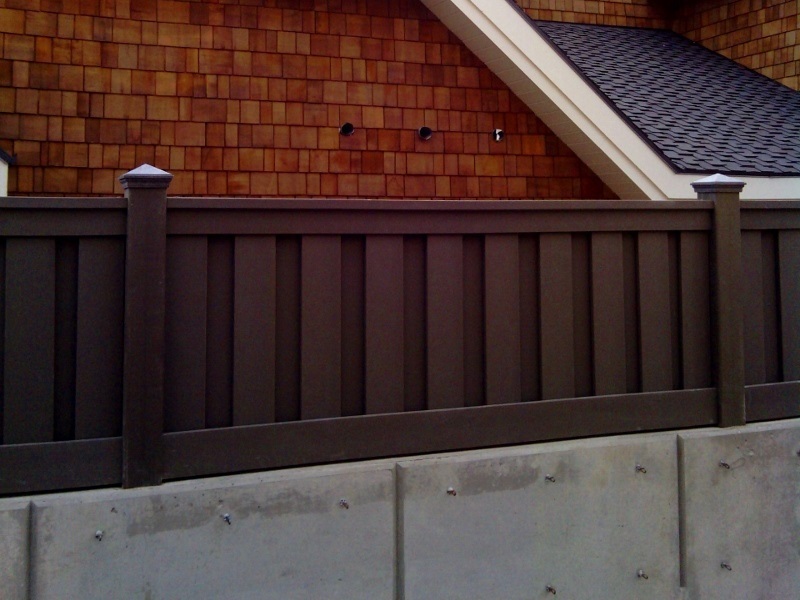 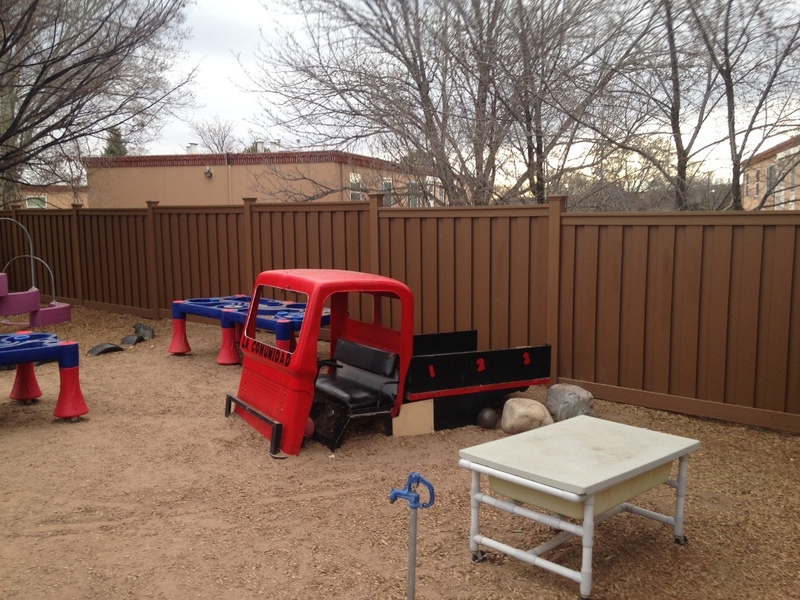 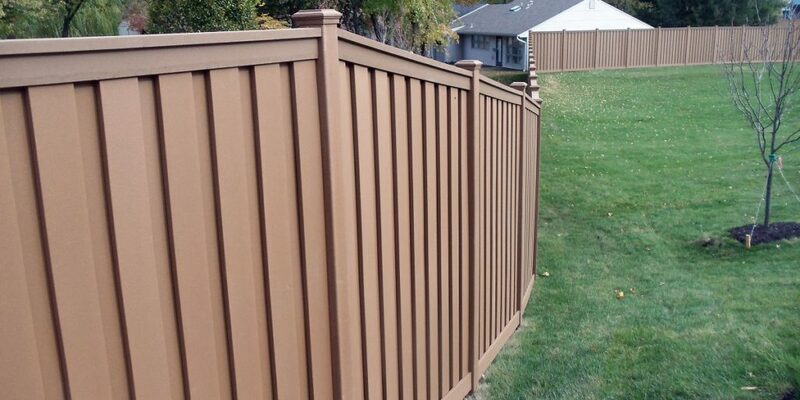 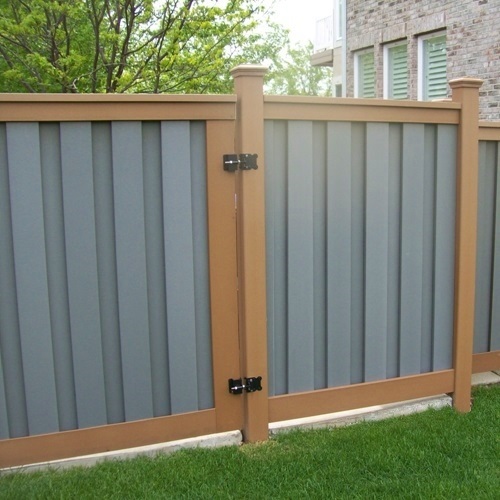 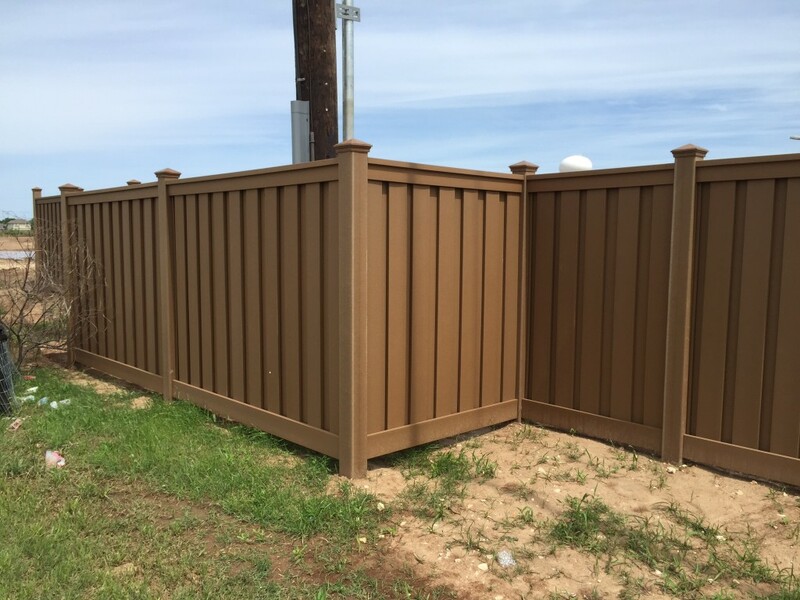 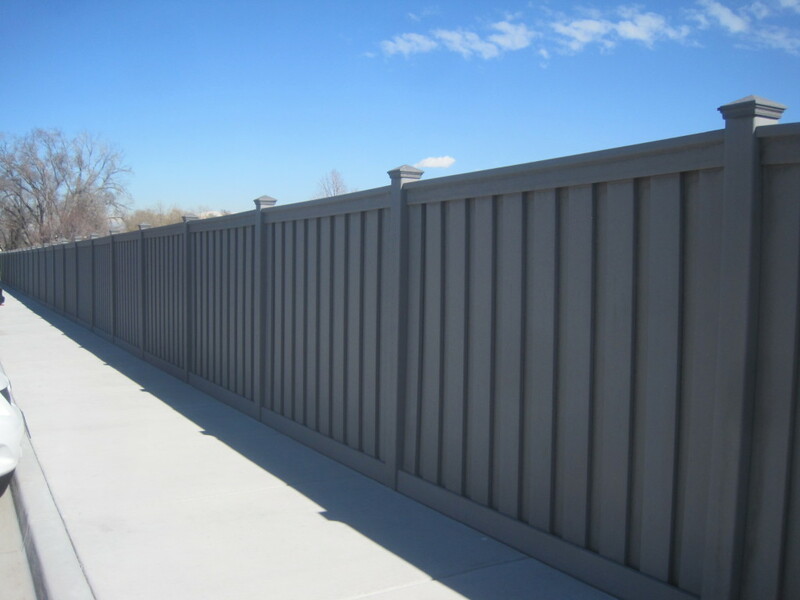 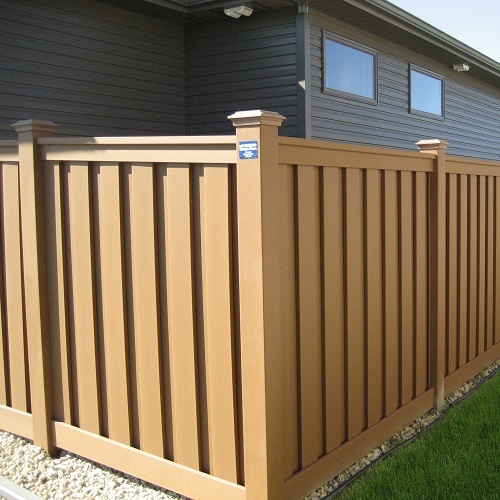 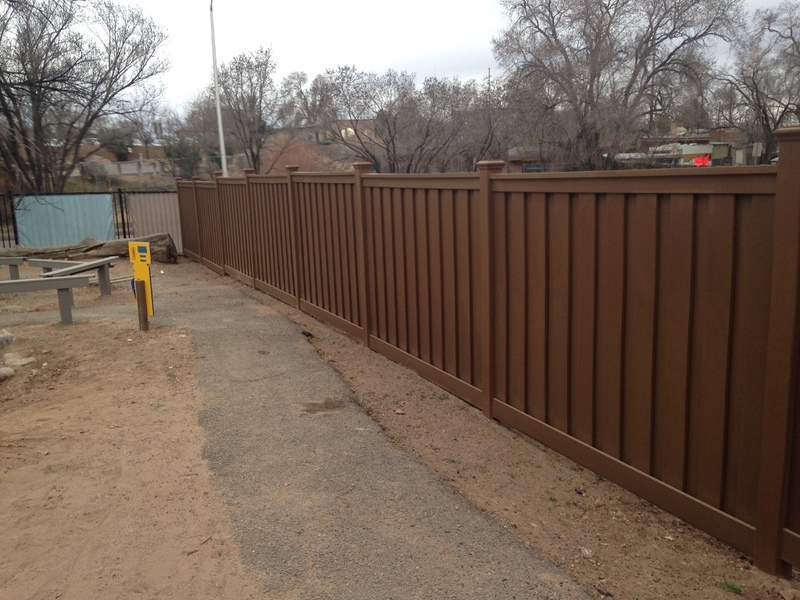 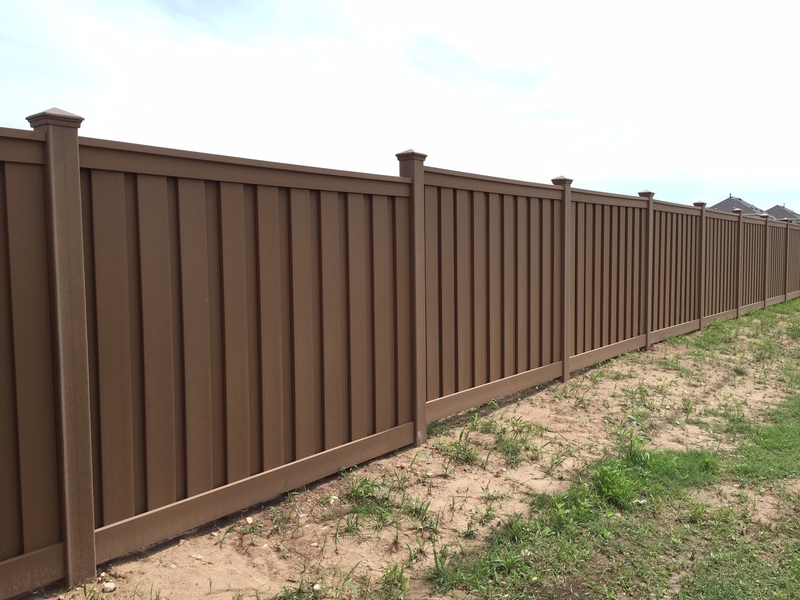 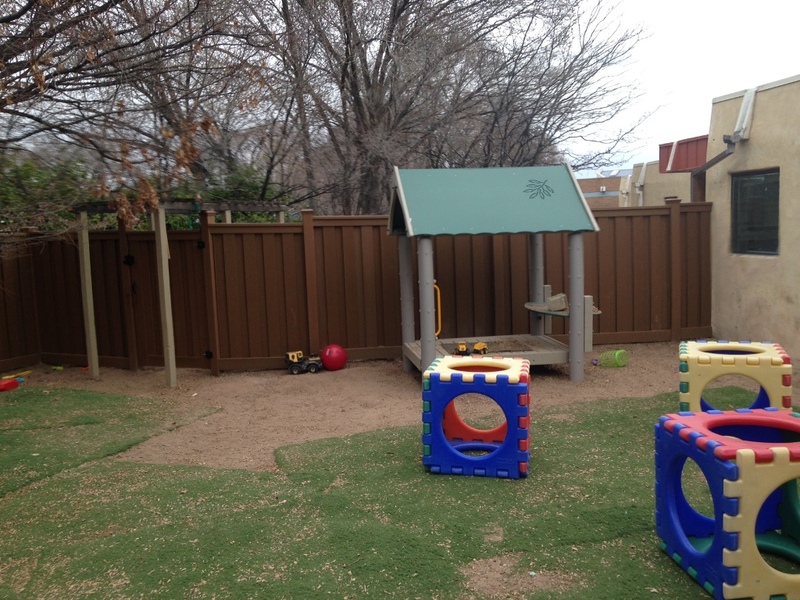 For more information on this project and on Trex fencing from Kent Fence Co., contact the company at: (785) 233-2291.